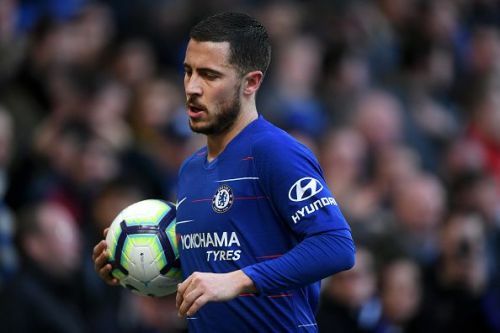 Will Hazard move to Real Madrid? Hello and welcome to the Chelsea news and rumours of the day! Here are the top stories of the day surrounding the Blues! The arrival of ex-Manager Zinedine Zidane just 10 months after the Frenchman resigned from the post has once again made the rumours of the Belgian ace move to Real Madrid resurface. The Belgian captain and French legend's admiration for each other is well known and the winger, who will be entering into his final year of the contract next year, has more than once expressed his desire on join Los Blancos. The arrival of Zidane will most likely see Welsh winger Gareth Bale moving away from the club, after being used very less during Zidane first reign, and is likely to boost the chances of Hazard joining Los Blancos. Another Frenchman and Chelsea player on the Zidane wishlist is N'Golo Kante. The World Cup winner who is one of the best defensive midfielders in the world has been often made to play out of position by Maurizio Sarri this season. With Casemiro a mere shadow of himself, Zidane is likely to be on the lookout for a defensive midfielder who will be capable of filling up the gaps in Real Madrid's lacklustre midfield. In a shocking turn of events Wolverhampton Wanderers manager, Nuno Espirito Santo has been lined up by the Chelsea hierarchy as a potential replacement for the Blues if Maurizio Sarri fails to deliver in his very first season in London. The Portuguese international has been one of the standout coaches of the season and can be said to be one of the best coaches in the league outside the top 6. The former goalkeeper steered the Wolves and easy title wins the Championship and has now steered his team to an impressive 7th position in the league.